Home | MoM answers | Does anyone has a remedy for cracked heals? Does anyone has a remedy for cracked heals? I’m ok during winter as my heels are pretty much covered, but now it’s summer I am quite embarrassed about their condition. do you have a remedy for dry or cracked heels? Use a Scholl fancy feet file. This will help to remove all of the dry dead skin. Once they are smooth – moisturise. Do this regularly. Dermal Therapy Heel Balm is wonderful. Moisturiser is great then invest in some gel socks. I have suffered cracked feet all my life. Emu oil, eulactil gold, scholl grating rasps. Pumice stones. Listerine and sodi -bicarb works as well. Drink more water and wear shoes. My heels are awful too – when in Thailand a nice Thai lady shaved all the dead skin off for me – didn’t take long to get bad again though! If you have unsightly heels try Milky Foot, your feet will peel 2 weeks later but will reveal lovely baby soft skin underneath. My heels were awful until I used Milky Foot, the soft skin lasted about 3 months and then I had to start using a pumice stone to keep them nice. I also apply a cracked heel cream from Avon every night before bedtime. 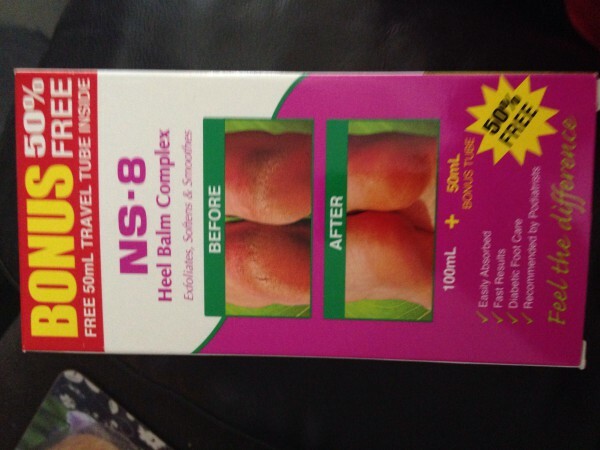 “NS-8 Heel Balm Complex” from the pharmacy has helped my heels. After 1 application they feel better. My podiatrist says to put it on after showering. I have really dry skin, so use it on my entire sole and toes. It works so much better than Eulactil. EMU Oil. All natural and has healing powers close to our skin. i love that Collagen is the most abundant protein in the human body. It is regarded as the substance that holds the whole body together and can be found in the bones, muscles, skin and tendons. Emu Oil applied twice a day, for a 14 day … The network of Elastin and Collagen fibers, which support the skins’s outer layer. It really works wonders!!! Gel healed socks are amazing! Well worth the investment! Before I go to bed every night I put cocoa butter all over my heels then I put my gel healed socks over the top! 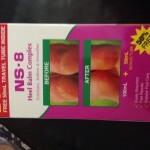 They work amazingly and bring instant relief and comfort! Foot cream at night and socks on while it’s absorbing but most importantly, wear shoes, I find it’s during the summer months when I am barefoot more that my heels take a beating and end up cracked. It’s the season when I have to give my feet the most attention.